A fascinating insight into human life on the edge. 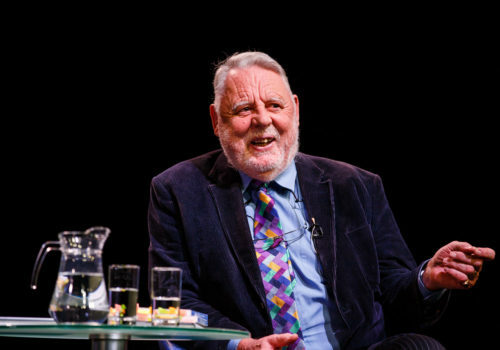 Terry Waite CBE is a British Quaker, Anglican, humanitarian and author. In the 1980s he was Archbishop of Canterbury’s Assistant for Anglican Communion Affairs. As an envoy for the Church of England, he travelled to Lebanon to try to secure the release of four hostages including journalist John McCarthy. He was himself held captive between 1987 and 1991. Terry Waite survived for 1,763 days in captivity, almost four years of which were in solitary confinement. Martin Bell OBE is one of British Media’s most respected war correspondents and will interview Terry on stage at Theatre Royal Bury St Edmunds. Sun 12 May at 7:30pm 7:30pm Book Now! The birthday bash to end all birthday bashes! Bury's Got Talent is back!